The Bonefish School on South Andros is one of our most popular trips. It’s hands down the best way to shorten the learning curve for saltwater fly fishing and build the skills and good habits you need to be a successful and self-sufficient saltwater angler. Many anglers return year after year to enjoy the camaraderie, the laid-back atmosphere and the amazing fishing on South Andros. This season we are upgrading the experience with a new venue. I will be hosting 2 weeks at the famous Bair’s Lodge. Part of the Nervous Waters family, Bair’s offers a relaxed, unpretentious vibe with personal service and amenities unmatched on the island. Delicious food, an exceptional guide staff, a fleet of brand new Maverick skiffs and an in-house fly shop are just a few of the things which set Bair’s apart. I am excited to be partnering with them to provide the best experience possible. Check out the Bair’s site; you’ll like what you see. Not sure how hosted trips work? Click here. The folks at Bair’s are as excited to be hosting the G&G community as we are to be there and they are making us a pretty sweet exclusive offer to help introduce themselves. 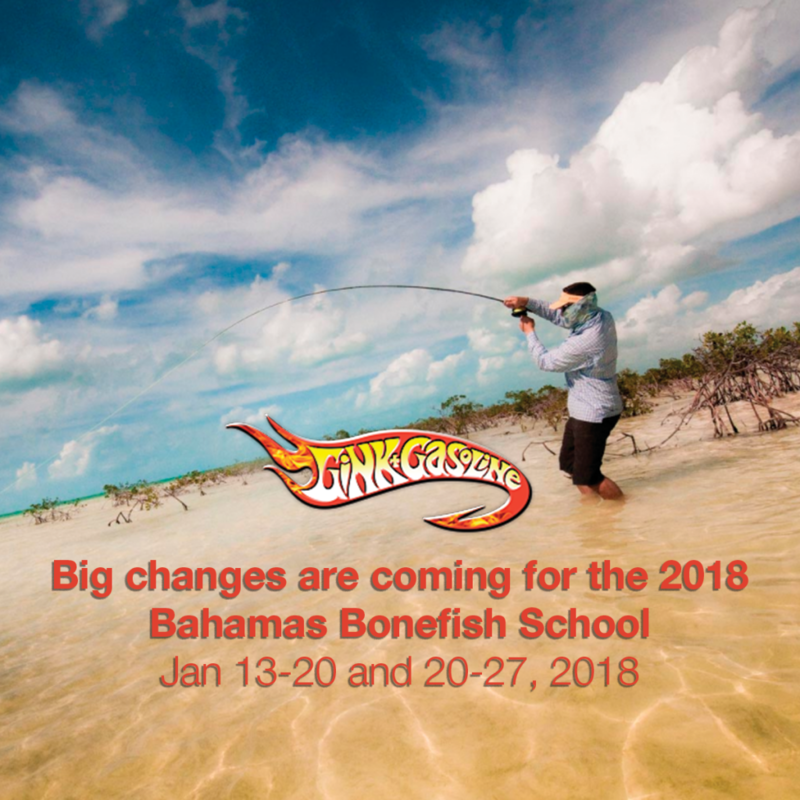 This 6-day, 7-night trip, which includes everything but your travel to the island and gratuities costs $5650 per angler, but when you join us for the Bonefish School, 2 anglers come for $6650. That’s a savings of $2325/angler! There are no restrictions on angler pairings. Bring a spouse, a child or parent, a fishing buddy, or let us help pair you with another angler. That’s a phenomenal value for one of the best and most famous bonefishing lodges anywhere. This pricing is only available through Gink and Gasoline, so don’t wait. To reserve a spot or get more information, contact us!